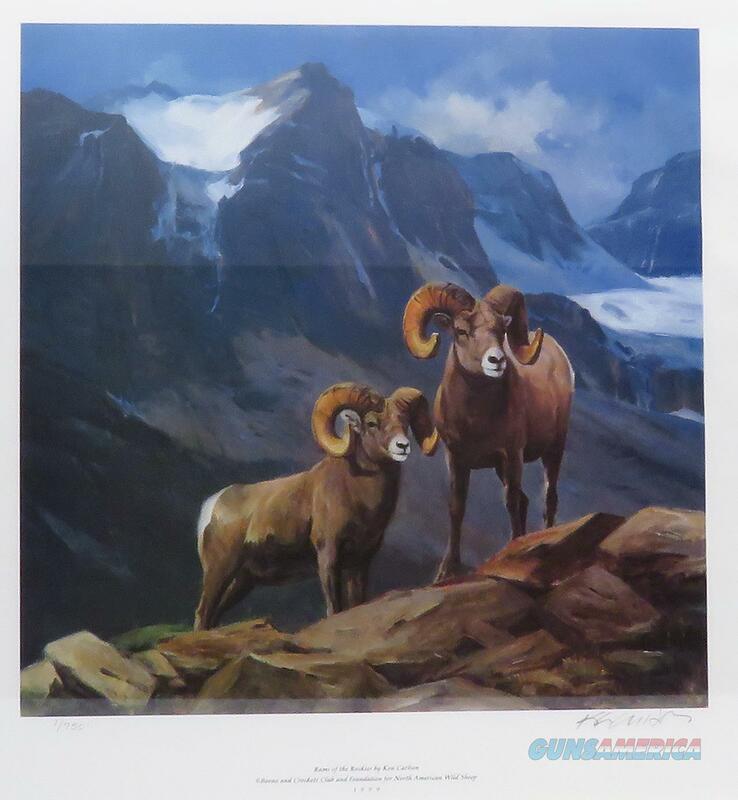 Description: Rams of the Rockies by Ken Carlson, a framed print being the number one (1/750) created for the Boone and Crockett Club and Foundation for North American Wild Sheep in 1999. This image also appeared as the cover of the book Return of Royalty by Toweill and Geist which was also published in 1999 by these respected conservation organizations. Hand signed and numbered, the image area is approximately 13x13 inches. The print is slightly wrinkled in the matting, therefore a new matting is suggested. The price is firm. Additional photos are available by request (include direct email address). Proceeds benefit the Boone and Crockett Club.